Editor’s Note: We’re not associated with any of the products or services mentions in this article, we’re just fans of what they do. Leaders have multiple irons in the fire. There are approvals, meetings, personnel decisions, and somewhere in there you need to find time to get your own projects done. Here’s a few tips for better productivity. I know I just said leaders have multiple irons in the fire, but that doesn’t mean you can focus on them all at once. There’s a reason why texting and driving isn’t safe or why no one likes podcasts with co-hosts talking over each other all the time. Still think multitasking is helping you be productive? Author Dave Crenshaw has a great test you can take to see how Multitasking is Worse Than a Lie. It’s easy to be a perfectionist. You can’t launch your company’s website until it’s just right. That project has to be perfectly polished before anyone outside your company sees it. Trying to get everything perfect the first time is a great way to set your company up for failure. How are you supposed to know if your product solves your customer’s problems if all your testing is done in a lab? This is why you don’t have to shoot for being perfect. No one wants to make mistakes. But, they happen. Your employees will make mistakes. You’ll make mistakes. The biggest mistake that’ll cost your company is if you never get started. We’ve all been disrupted at work. It happens. It doesn’t have to ruin what you’re working on in the moment, though. Take the time to figure out a system that works for you to get stuff done. That means when someone interrupts you with a new project, you can put it in the system and know you’ll get to it. Pomodoro. The basic concept for the Pomodoro Technique is to set a timer for 25 minutes. Focus on a single task for that time. When the timer goes off, give yourself a short break. Then, rinse and repeat for the next task. Learn more. Getting Things Done. “Mind like water,” is a saying from GTD author David Allen. Instead of holding ideas in your head, get them into a trusted system so you can react appropriately to whatever gets thrown at you. The five steps of GTD are: Capture, clarify, organize, reflect, and engage. Learn more. Agile. Developed by the software development industry, Agile Methodology is a popular system for teams. One of its strengths is a board that everyone can see. If you’re a visual person, using an Agile board (like Trello) for your own tasks can be a great takeaway from this methodology. Learn more. Bullet Journal. Tired of digital tools? 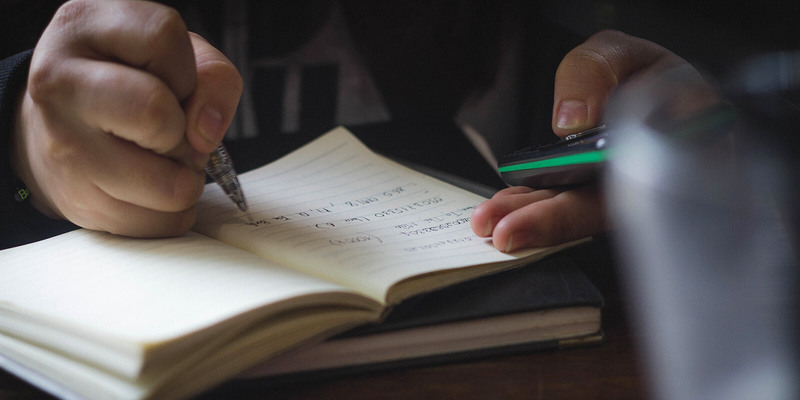 Bullet Journal is an analog system designed to work in a digital world. This is the marriage of the tactile process of writing down your tasks each day with a system to keep it all organized. Learn more. Action Method. If you’re more creative, the Action Method might be helpful for you. Built around physical sketchbooks by the team at Behance (part of Adobe), the Action Method books come with zones that are templates to help you organize the ideas in your head. Learn more. After you start to see how those methods work, pick one that you think will work best for you. Don’t be afraid to customize it. Maybe you like the visual board from Agile Methodology but want to use the 25 minute increments from Pomodoro. Make it your own. Got a system you want to add to the list? Let me know in the comments below! What was your big takeaway from the team meeting last month? Did all the action items from that meeting get done? How will you know what needs to be followed-up, or who to follow-up with? You’d be surprised how helpful it is to get into the habit of collecting your thoughts immediately after a meeting, project retrospective or discussion. Snap a photo of your meeting notes and elaborate on them. Evernote. You’ve probably already heard of Evernote, and for good reason. They are the standard to beat when it comes to being store and access your ideas, projects and more on every device. Learn more. OneNote. If you have Microsoft Office, you already have their great note-taking tool. Use it to collect all your thoughts together in a single place. Learn more. OneNote Pro Tip: Use the Office Lens app on your mobile device to capture photos of your documents, whiteboards in the conference room, and business cards of those contacts you don’t want to forget. Simplenote. Sometimes, less is more. Simplenote is developed by the same company that makes WordPress, WooCommerce, and plenty of other trusted brands. Oh, did I mention it’s completely free? Learn more. Google Keep. Part of the G Suite of tools that includes Google Docs (another great tool to consider), Google Keep is geared a little more to capturing notes, photos of your meeting whiteboards, checklists, or anything else you want to organize. If your company uses G Suite, you already have access to it. Learn more. Dropbox Paper. If you’re a Dropbox user, Paper is a great Google Docs-like tool that can be used to organize your thoughts. Since it’s integrated into Dropbox, sharing and collaboration with people in your company is easy, too. Learn more. Got a tool to add? Let me know in the comments below! It’d be great to get those 20 things done today … but you won’t. Things come up, scopes change, and projects sometimes take longer than we think they will from the onset. Meanwhile, it can be demoralizing to always feel like you’re drowning. There’s so much stuff to do, and you’ll never get it all done. Look at your to-do list and pick three key things you’re going to do tomorrow. Write those three things down on a new list and set it on your keyboard before you leave for the day. When you get in the office tomorrow, don’t do anything else* until those three things are complete. *No email, no other tasks or projects. If you have a meeting planned, don’t forget to collect your thoughts right after and jot down any action items for after you get your three key things done today. Can’t get something done? Decide if it needs to be added to the next day’s list or postponed for longer. You’d be surprised how many times those projects don’t seem as important when you follow-up later. Most people check their email first thing when they get into the office. I can’t count the number of times I’ve gotten an email from someone with a timestamp at 2:00 AM. What is so important that people need to check their work email at 2:00 AM? I get it. As a leader, you don’t want to be the bottleneck for approvals or decisions. Will your company go out of business if you don’t reply to an email for an hour or two? Of course not. What will happen if you aren’t constantly glued to your email? For one, you’d be able to focus on getting those three key things you wanted to get done today. Try this tomorrow: Pick two times, one in the morning and one in the afternoon. Those are your times to check email. Block off half an hour around each of those to reply to emails, and then close your email for the rest of the day. You might just find when your people aren’t always waiting for your approval, they’ll be able to do what you hired them for — make decisions on their own to push the projects forward. Meanwhile, you can finally get some of your own work done instead of being tied to email all day. Having an open-door policy is great. You should always be willing to hear what your employees have to say when it’s something important. One of the big challenges with technology today is that it’s become too easy to get in touch with people. There’s your phone, email, Slack, Facebook at Work, Hangouts, iMessage … every one of them designed to give you a notification that’ll disrupt your ability to focus on the task at hand. Pro Tip: Need some time to focus on getting stuff done? Block it off in your calendar so no one can schedule a meeting during that time. Having an open-door policy in your office doesn’t mean you can’t have time when your email is closed, and your phone is on silent. Make it more difficult for yourself to check those notifications and it’ll be easier to focus on getting work done. Looking for inspiration to get started? Try blocking off 3:30 to 4:00 every Tuesday afternoon. Start small and see how much you can get done in 30 minutes. Then, grow your focus time as needed. I’ve already talked about the concept of SMART goals. While they’re great tools for holding your team accountable, they can be just as helpful for holding yourself accountable. When you’re coming up with the three things you want to get done tomorrow (from tip #6), make them SMART. Be specific, measurable, achievable, relevant, and time-based. 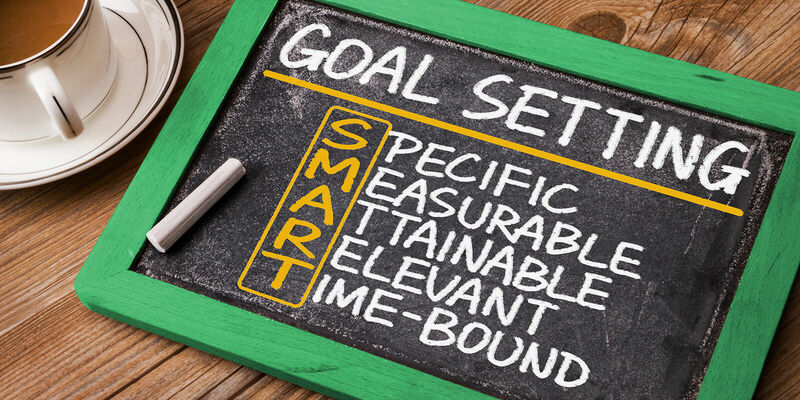 One of the biggest challenges with SMART goals comes with the last one. This is especially true for tasks you’ve never tackled before. How long will researching a new area of growth for your company take if you’ve never done it before? The answer is: It doesn’t matter to get started. Start with half a day. Do the research, then at the end of the time you’ve allotted, recap what you’ve accomplished. Did it pan out? Or, do you need more time? Give yourself another half-day, or maybe a full day. Repeat the process until you feel you’ve accomplished what you need. Then, the next time you’ll do something similar you’ll know roughly how long it should take. You’ll probably get the time wrong the first time. Everyone does. Remember, it’s not about being perfect the first time. It’s about getting started and learning from your mistakes. One of my core values is Less is more. It might sound cliché, but I encourage my team to figure out smart solutions to the problems that arise. It might take an hour to learn how to shave a minute off the process, but when that process is repeated every day for a couple months, you’ll start to reap the benefits in time (and money) saved. Lead by example for your tribe. When they see you’re taking the time to be more productive, they’ll see how important it is to make sure each minute of the day is spent doing something to push the company forward. Even if that means taking the time to learn how to jump-start your productivity instead of accepting it slogging along at a slower pace. If there’s something you’re doing to be productive that you wished you could’ve added to this list, just add it to the comments below. Let’s be more productive, together!